The "Climber" model has "Elastic Outer Shell” structure, finger like pillars shaved on the outer perimeter of the hub body, which absorb harmful stresses to the bearing, such as vibration or impact load from road surface. 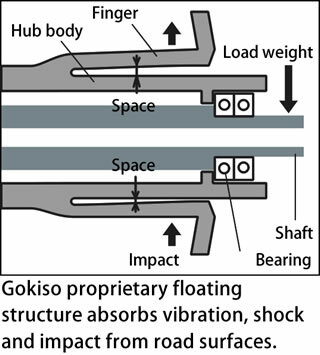 The hub body and the shaft are machined from A7075T73, the same material as "GOKISO" hub. 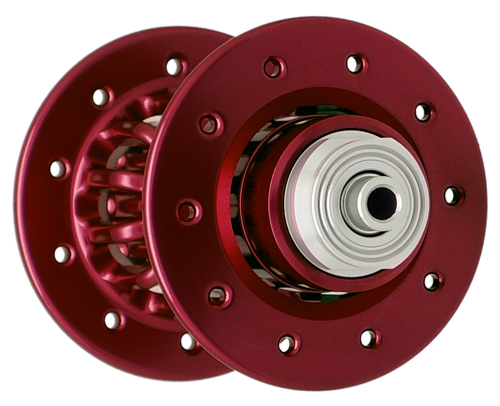 The "Climber" hub employs a pair of single row ball bearings on both sides of the hub, whose balls have larger diameter than those of "Super Climber" hub. Now, another supreme model is added to our proud product lineup, another expression of the quintessence of GOKISO craftsmanship and our pursuit of perfection on every aspect, performance quality, durabillity etc., with no compromise. Elastic Shock Absorbing Structure is directly machined on "integral Hub Body"
Elastic Shock Absorbing Structure is adopted to many bearings of jet engines for aircrafts, which suspend the main shafts, for the purpose of vibration reduction and preventing destruction of the engine caused by bird-strike, also for better performance and higher efficiency. 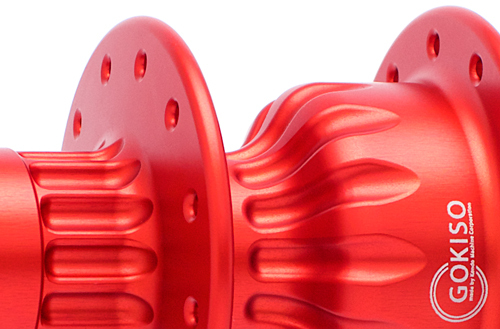 The "Climber" Hub adopts finger type Integral Hub Body, to which Elastic Shock Absorbing Structure is directly machined, for the purpose of lighter weight and higher rigidity without sacrificing flexibility. Stresses to the riders, will be also impressively reduced by this structure, in the present high speed race scene brought about by spread of ultra high pressure tires and high rigidity carbon rims. The hub body of the "Climber" Hub is machined from the ingot of extra super duralumin "A7075T73". The front hub is consisted of 3 sections, the cylindrical body supporting bearings, flanges for spoke-holes, and 12 pillars, called "fingers", on both sides which connect the flanges and the body. When the hub received external stress, the "fingers" deforms elastically, and the stress from all the outside is absorbed so that smooth rotation of the wheel will not be disturbed. As to the rear hub body, variation of rigidity is realized by consecutively machine the hub body to make it partly thin-walled. This thin-walled section functions as elastic body structure, and both very high rigidity to withstand high pedaling torque and Elastic Shock Absorbing Structure are achieved. P5 grade (DIN) high precision bearing, made in Japan. The "Climer" model employs P5 class precision bearing, made in Japan. 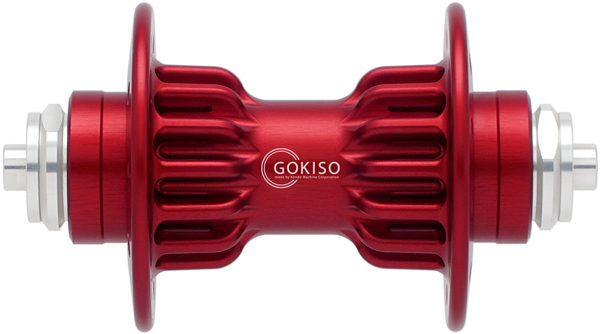 Unlike "GOKISO" hub or "Super Climber" hub, single row bearings of larger diameter are placed on both sides of the hub. 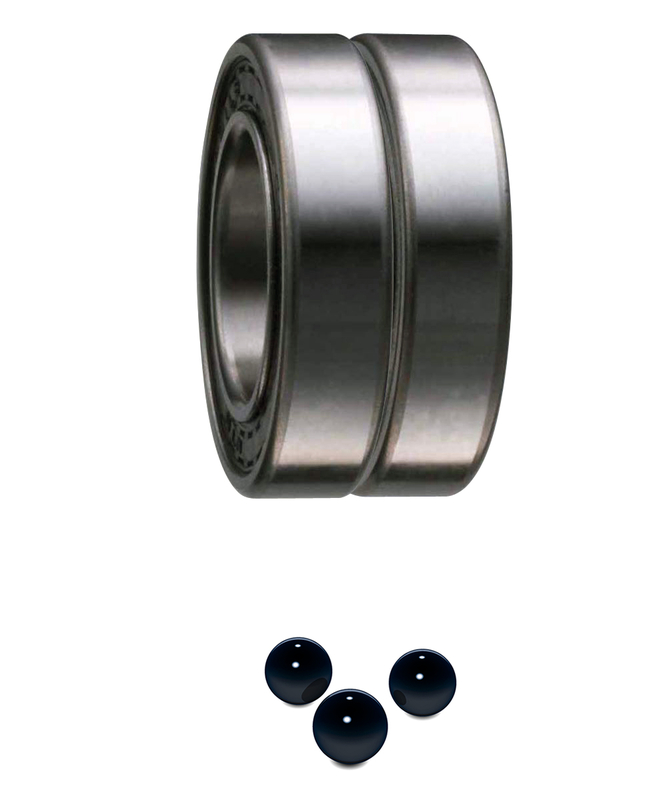 Changing double row bearing to single row bearing results in lighter weight, while maintaining load capacity by employing larger diameter bearings. Free Body canbe exchanged using GOKISO tools. 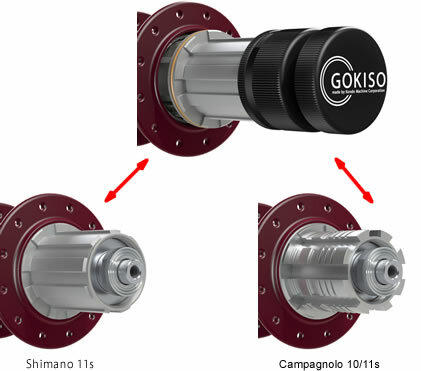 Exchange of free body (11 speeds Shimano to 10/11 speeds Campagnolo, v.v.) can be done using GOKISO tools made for that purpose. 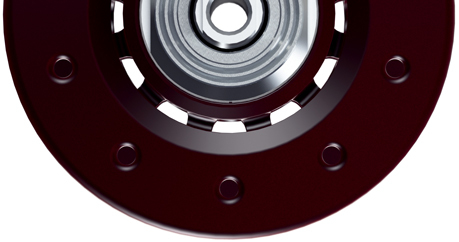 This can be easily done by anyone without disassemblying the wheel, free from damages to the precision bearings. GOKISO’s shock absorbing and elastic body suspension is the ultimate solution to axle deformation. Same as the "Super Climber" model, the "Climber" model has the elastic body suspension structure on the perimeter of the hub body to absorb the impact load from a road surface. 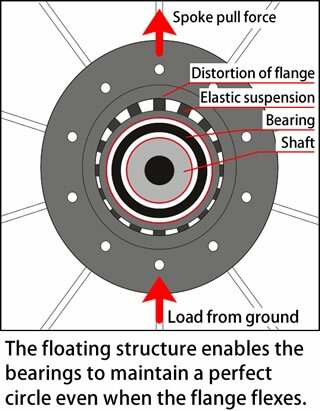 Moreover, since the elastic body structure floats flanges from body shell, the external input from the rim and spokes do not reach a bearing directly. When the hub receives the external force that comes from rider’s weight, impacts, and strong torque of pedaling, its flanges change its form slightly according to stress. However, the elastic body structure of the super climber model can continue maintaining the perfect rotation without deformation of bearings due to separated flange and body. A hub shaft could get deformed during wheel installation when clamping the wheel to the folk or the frame using a quick lever. Our spherical nut and washer are the successful solution for these problems. By keeping the hub shaft straight regardless of frame deformation, we have achieved the highest rotation accuracy without abrading or damaging the bearing.